The mission of DutchtownSTL.org is to evangelize for the Dutchtown neighborhood (however one may define it) and share its present, past, and future with our residents, neighbors, visitors, and anyone else who happens to drop by. We will keep an up-to-date calendar of events, provide positive neighborhood news, share stories and pictures, and offer space to anyone who wishes to strengthen our neighborhood now, preserve our neighborhood’s history, and promote a bright future for the Dutchtown area. We’d love it if you helped spread the word about our site, and our neighborhood! Any of our news items and events can be shared with the “Share” button at the bottom of the post. You can also like, share, and follow us on Facebook, Twitter, and Instagram. Suggestions and contributions are more than welcome. Please visit our contact page or email info@dutchtownstl.org with any ideas or questions. Contact us if you’d like to contribute! 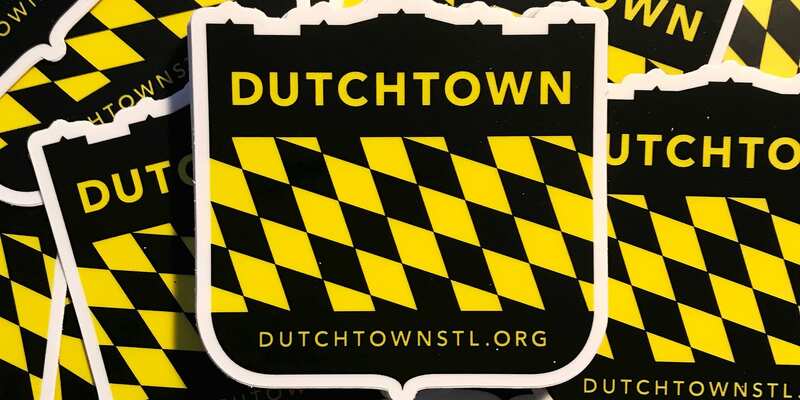 One way to support our site and show off your neighborhood pride is with an awesome DutchtownSTL.org sticker! Send us a message letting us know how many you want and where to mail them (or we can drop them off if you’re in the neighborhood). Another great way to spread the word is by following, liking and sharing our posts on Facebook, Twitter, and Instagram. We really appreciate when people share our work. Please note that this site can be reached at DutchtownSTL.org, DTSTL.org, and Dutch.town.